We’ve been thinking about and praying for those in California who have been so terribly affected by the fires. When we look out our own windows and see the scenes below, it’s hard to imagine that there are fires just three states away. If you look through the trees, you can see the log fence for our new memorial garden. You can’t see the mountains here because the clouds were dumping a lot of snow on them that day. The trees that look kind of bare are the Tamaracks, an evergreen that loses it’s needles in the fall and then gets news again in the spring. We went on a hike on Sunday where there was no snow and came upon these beautiful mule deer. They were actually standing only about 20 feet from us. This is the mama, and she was concerned about our border collie Esther. We quickly tethered Esther and moved on our way. As we began to walk away, the mule deer actually started heading our way, but just for a moment. We wrapped up our walk at the Koocanusa Lake/River, which is just a few miles from the Canadian border. We can see the Canadian Rockies from here. This group of ducks were enjoying the sun before heading south. There are the awesome, snow-covered Canadian Rockies. They are quite spectacular! I last posted some photos in March, and now here it is September. Summer went by so fast here at the Shepherd’s Place. Between running Lighthouse Trails, working on the lodge, cooking for and spending time with guests, and keeping up with the garden, each day raced into the next. But every day was a gift from God, and we reminded ourselves daily of His faithfulness and goodness. We were also blessed and thankful that we had no fire threat near us this year (we know many did in the NW). Our Spanish translator (who translates our books and booklets), Sally, is a retired missionary to Columbia and lives in Columbia most of the year; she took the train from Oregon and stayed with us for a week this summer. We worked together to get several booklets ready for publication. It was so wonderful having her here – we hated to see her go, but she promised to return next summer. John, a retired Nazarene pastor, also came for a visit. His wife, Linda, passed away earlier this year after an 8-year battle with an auto-immune disease. John lovingly took care of her all those years. We loved having him here and fellowshipping together. He told us he loved being at The Shepherd’s Place and felt renewed by the time he left. Dave spends a considerable time in the forest each summer, taking down dead trees, bucking them up, then bringing the bucked wood to the two buildings and stacking it (next year, he hopes to get at least one wood shed built. He has finished most of the flooring in the lodge and will spend the winter months putting up the rest of the trim and doors. Here below are some new photos. We feel we are 90% done with the inside of the lodge. If all goes well, we will do the outside deck next summer. Some shots of the main dining/lounge room. As you can see the floors are done (with some temporary area rugs). The opening you see at the end of the room leads into the entry way and will have double doors to divide the foyer from the main room (helping to keep the cold air from outside coming in. There are three wooden dining tables. Haven’t got all the chairs yet. Some local young men, including 2 from an Amish family, built our tables. Our old classic upright piano has now reached what will probably be it’s last destination. Dave plays beautiful hymns and worship music (when he’s not editing or working in the forest). This is the spot where the serving table will sit. [caption id="attachment_1055" align="aligncenter" width="640"] One of the bedrooms. Just needs baseboar and door trim. Each bedroom has a door that leads to outside. The garden did really great this year. We plan to expand it next year. Amazingly, we had raspberries for two full months (July and August). They were wonderful and grow so well in Montana! Another view of the garden. Around here, you have to have a tall fence to keep the deer out. This is Esther, the border collie we got about a month before Jacob died. She’s half the size of Jacob, but she’s so sweet and funny and gives us a lot of enjoyment. A beautiful buck standing out in the meadow one evening. A shot taken up on Burma Road, which has amazing views right into Canada. There is also a hundred-year-old abandoned apple orchard so we gathered a knap sack full. This is Dickie Lake (about 8 miles from us). It has a wonderful hike. Across the lake is a summer Bible camp. Dave and Ester up on Burma Road one Sunday afternoon. An evening sunset view from our land, near the creek. Another view from our land. This is the view from the dining room at the lodge. There will be snow on those mountains soon. The walls of the dining room are done! Dave finished the cedar tongue and groove this past week. He is moving right into getting the women’s bathroom finished. After that, there will be trim work in the dining room, some doors to be installed, the rest of the kitchen cabinetry, and then the floors (floors in kitchen and bathroom already done). Given that Dave also does all the outside work and helps keep Lighthouse Trails going along with our staff, everything takes longer than what we hope for and anticipate. But we are optimistic that the inside of the lodge will be finished by the end of the year. As we mentioned last fall, our beloved dog Jacob succumbed to cancer. We have a new puppy at The Shepherd’s Place. Her name is Esther (see photo below), and she too is a border collie, though she will not be near as big as Jacob. But she’s been a comfort to us in our loss of Jacob. Here are some photos to show our progress. As you can see, the walls are finished. The cubby space on the bottom right corner is a small closet to hold firewood. There will be a door there. This is a good view of looking through the window toward the mountains. Looking toward the kitchen. The dining room is 30 x 30. You can see the beautiful wood tables which were made by a couple local young men (one of them is Amish). We still need the chairs and hope to get them soon. This is the plaque hanging over the woodstove, a gift from our friends and co-workers Warren and Joy. We have about half of the kitchen cabinets installed; plus the main sink and two dishwashers. After the women’s bathroom, we will get the island and the rest of the cabinets in along with the counter. The kitchen is 15 x 20. Some outside photos. Believe it or not, with all this snow, some of the trees are starting to bud! The view from the lodge. Those are some of the Rocky Mountains looking north toward Canada here. Looking down toward the creek. It will be frozen for another month or so. This is looking down at the area we are going to have the memorial garden. Deer tracks (we also have at least one wolf around right now, making a nine-day cycle. I took this one standing in the spot where our small A-framed prayer hut will be built. The window will face the mountains and will be close enough to the creek to hear it in the spring, summer, and fall. Esther when we first got her. Things have been very busy at The Shepherd’s Place this past summer and fall. Just keeping up with Lighthouse Trails is a more than full time job. But we got all the firewood bucked and stacked that we need for this winter for both buildings. They say it’s going to be a long cold winter. We are wondering what that means given that last winter was supposed to be the coldest in 33 years! Anyway, the first snow is going to be landing in three days. we have had for 11 years since he was a puppy succumbed to his cancer today. It was very hard for us to say goodbye. He has been a faithful loving friend to us, and we will miss him so. Below is a photo of Dave, Jacob, and me taken a couple summers ago. You can see what a lovely dog he was, much bigger than most border collies. He loved Montana and The Shepherd’s Place. On a brighter note, we finally brought the old upright piano out of storage this weekend and put it into the lodge. It will be a central piece in the dining room as Dave plays beautiful praise and hymn music. Also the kitchen cabinets are here, and Dave and a helper are going to start installing them in two weeks. Then hopefully they’ll finish getting the walls up in the dining room. We had hoped to be further along by now, but just not enough time to get everything done. We did have two volunteers come up from southern Montana (LT readers), and they did the tile around the tub in the women’s bathroom. It looks really lovely so we are thankful for that. We look forward to the day when the lodge is completed so we can begin using it for a writing and biblical training and retreat center. Will post some new pictures of the lodge soon. In the meantime, here is one taken two summers ago of Dave, Jacob, and me. Also a picture of our piano taken just before we put it into storage 5 years ago! We planted the vegetable garden this year at the end of May (the official beginning of growing season here in NW Montana). We thought some of you might like to see how it’s going. If you come for a visit, you can be sure we’ll be including these wonderful organic veggies in the menu. This is the third year we’ve been on the land, and we’ve been conditioning the soil each fall with lots of organic matter. It’s really making a difference. By the way, this past week, Lynda and Art from BC came and volunteered. Art helped Dave get the cedar wood for the dining room walls stained. Lynda helped us with all kinds of office work, and she even did some editing for us on an upcoming book! Tomatoes (also in Agribon). The cute sticks are made by a Down syndrome teen who lives in town. Shepherd’s Place – Still Here! It’s hard to believe that it has been nearly a year since we’ve posted anything on The Shepherd’s Place blog. But here we are a year later, still working hard with Lighthouse Trails and still working on The Shepherd’s Place, one step at a time. We lost our dear friend and co-laborer in Christ, Ray Yungen, in the fall and then went through what was called the coldest snowiest winter in over 30 years here in NW Montana. But in spite of the hardships and losses, we are still here, and we are still trusting in our wonderful faithful Lord. Dave spent every extra minute, when he wasn’t doing all the other things he does (editing, writing, building, etc. ), he had last summer and fall bucking up enough wood for both buildings. He’s amazing. He does the work of someone half his age. It turns out we used about 4 cords all together, not too bad considering the winter we had. We are excited that last week we finished the tongue and groove ceiling of the dining room at the lodge (which is the room with the wonderful view). That was a big job, but it’s done, and it turned out beautiful (and praise God, no one got hurt working on the scaffolding). We also have the kitchen appliances now (which we got before we get the cabinetry just to make sure we get the right sized cabinets). And since we have one almost finished bathroom and one almost finished bedroom, guests and volunteers can utilize the building. June: Installing the outside porch lights (9 altogether) which is the last step of the electrical and staining the cedar boards for the interior walls in the dining room. July: Putting up the cedar walls in the dining room. August: Staining the boards for the tongue and groove floor of the dining room and laying as much of the floor as we can. Fall and Winter: Looking forward to bringing in the upright piano (Dave plays beautiful hymns and praise music), getting chairs for the three wooden tables, and couches for the lounge area. Prayer request: When we first moved onto this land two years ago, we committed The Shepherd’s Place to the Lord and asked Him that He would be glorified in all that takes place here. It is our prayer that everyone who comes here will be blessed. We have a particular deep burden for young people and ask you to join us in prayer that in His timing we might be able to launch some kind of intensive short-term discernment training here for college-age believers so that when they go to college or out into the workplace, they will be better equipped and have a strong understanding in vital issues affecting Christians today. We don’t know what that idea looks like right now or how it will come to fruition, but if it is something God wants us to be involved with, we pray that the right people will come along to help and that He will provide and make His will clear. The new ceiling and lights in the dining room. Six of these hang from the ceiling along with two fan/lights. Two stained glass lamps hang over the place where the serving table will be. One of the kitchen windows. All the windows are trimmed out now except the big ones in the dining room. The almost finished “men’s” bathroom. Two others are still waiting to be completed. Dave and Jacob, while on one of our Sunday hikes. We were blessed to have Stacey from Texas come out and volunteer for several days. While she was here, she took me to a local nursery and bought a lot of flowers for the Shepherd’s Place. She also helped us to get our garden in. Praise the Lord! And some of the flowers she got are deer resistant! I didn’t know there was such a thing. That means we can plant them anywhere without fencing. Dave now has all the light fixtures in at the lodge (except in the dining room which has to wait for the tongue and groove ceiling and walls). He’s working on finishing up with light switches and outlets and plans to turn on all those finished lights sometime this coming week. Let there be light! We are going to be picking up two 50-gallon water heaters this week as well as the lumber for the interior windows and door trim. Will also pick up some of the interior doors. We hired Ben, a local young man, to build us three octagon shaped tables for the dining room. Each one will seat 8 people. He used blue pine wood. They are sanded, and all we need to do now is stain and coat them. Please pray for us when you think of it. Between Lighthouse Trails and the work on the grounds, needless to say we are keeping very busy. One of the pots we assembled with Stacey’s beautiful flowers. I was delighted to learn that deer don’t like fox glove and these pretty red flowers. Thus, we planted them outside the garden fence. And now for some pictures of the newly planted garden. Here is a list of what we planted in the garden: strawberries, rasberries, potatoes, snow peas, green beans, carrots, cabbage, broccoli, lots of different greens, herbs (the tomatoes and peppers are in the green house – they don’t like the cool Montana summer nights), zuccini, winter squash, beets, radishes, horseradish, rhubarb, and I can’t remember what else right now. One of the bedrooms. That fixture isn’t as small as it looks in this photo. The kitchen. You can’t see the inset ceiling lights in this photo. The three lights are for the island, which will have a sink for washing vegetables. To the right is one of the many wall sconces throughout for soft amber lighting. These tables will still be standing in a hundred years (should the Lord tarry). Finally a few photos taken around the lodge today. A view from one of the lodge bedrooms. How would you like to wake up to that? It’s hard to see in the photo, but this field of green grass has hundreds of wildflowers of different varieties growing. We threw down the seed last year. The back view of the lodge looking down from the hill behind it. This past week, we were able to get some of the painting done at the lodge thanks to Sharon and Sarah (two local volunteers) and two of our office girls. We received a call yesterday from two fellows from Washington state who are going to come out this week and finish up the painting for us. We are grateful to the Lord for His provision. This was a difficult week for us at Lighthouse Trails because of some very challenging technical difficulties. We appreciate your prayers. The kitchen – a dusty gold color. This is the entry way (coat closet on the left). A sage taupe color. An area near by where we sometimes walk. A meadow lark who found his way to a tree in Kalispell. We were there picking up paint a week ago and spotted him. The view from outside one of the lodge’s bedrooms. As you know, Dave finished the electrical rough in at the lodge less than one month ago. Since then, the entire lodge has been insulated, and the sheet rock is up. During the next two weeks, a hired crew will be mudding and taping all the sheetrock. Yesterday (Saturday) Dave and I went to Kalispell and picked out the tongue and groove 6″ wide wood slats that will go on the ceiling of the dining room (which is the room you see in this first photo). We also picked out some color cards for paint. If any of you would like to come out and help us paint, clean up, and put up door and window trim, we’d love to have you. But if you can’t, please pray for us. We have dedicated The Shepherd’s Place to the Lord and His work, and we pray that everything that happens on these grounds will bring glory and honor to Him. This is the dining room now fully insulated. The back wall of the 30 x 30 dining room. The plastic is the vapor barrier. This is one of the bedrooms. There is special sound proofing insulation on the ceiling so that people walking around upstairs in the dining room can’t be heard. A close up of that special sound proofing insulation. Oh happy day! The drywall is up!! This is the smaller bedroom. One of the bedrooms. Most of the window isn’t showing because of the sheetrock. The laundry room where the freezers will go too. That door goes to under the stairs storage. The kitchen! It’s 20 x 15 – big enough for lots of people to help with dishes and cooking! Another view of the entry way. The coat closet is to the left. A few local inhabitants watching us. AND FINALLY, A FEW PHOTOS WE TOOK TODAY DURING OUR WALK IN WOODS NEAR SWISHER LAKE – SPRING IS HERE!! It takes awhile for spring to show itself in the Rocky Mountain ranges, but at a warm 68 degrees today, the crocuses are blooming! Jacob, our border collie is coming back up after getting a drink at Swisher Lake. It’s hard to tell in this photo, but the new green grass is beginning to overtake last year’s dead growth. A Big Milestone – We’ve Passed the Rough-In Electrical Inspection! PART 1: I haven’t posted anything on this blog since November. I don’t know where the winter went, but by the looks of fast-melting snow and the sound of Canadian geese returning to the north, we are heading into spring. We had a good winter, very busy at Lighthouse Trails and Dave doing the rough-in electrical and keeping the furnaces and woodstoves in both buildings going with what seemed like eternal fires. We already had one of our authors, Ray Yungen, come out for a writer’s retreat. He worked on his new book and several booklets. He stayed in the temporary guest room at the “Light” house (where LT runs). We took him to Fernie one day to see the snow capped mountains and drink coffee from Tim Horton’s. We had a good steady staff in the shop all winter, packaging up about 400 orders a month, filling tea boxes, and sampling the biscotti we now carry; Everyone worked hard and stayed warm. We had a lot of snow this winter. Beautiful, bright, and cold! It’s almost all gone now except for in the mountains that surround us. The lodge this winter. Because there was no insulation but with the wood furnace and woodstove going inside (to keep Dave warm while he did the electrical), we had a lot of icicles on the building. Some were nearly 4 feet long!! Soon, we will have lights and walls inside. PART 2: Today, we are praising the Lord. Dave finished the rough-in electrical a few days ago. We cleaned up the place, called the inspector, and today he approved our rough-in electrical. In Montana, at least in this county, the only inspection needed in construction is the electrical. It took a few months longer than we had hoped for him to complete it, but Dave is a very busy guy with the publishing ministry and everything else that has to be done around here. Plus, he had never wired a house before. It was a huge undertaking. But he did it, and he saved us a lot of money by doing this himself. We are already scheduled to have the insulation done on the 21st, and tomorrow we are getting a quote on sheetrocking. If it’s too expensive, we’ll have to do that ourselves too as our construction budget is just about depleted, but we hope we can have that done. It’s another big job for one person. Dave will spend the rest of this week putting in a media panel and running wires for Internet and phone (easy compared to what he just did) and then work next week on clearing out the lodge of all the tools and materials to get ready for the insulation and sheetrock. After that, we would love to have some volunteers come help with painting, finish trim, and a million other things. DAVE: Editor, publisher, woodsman, and now electrician! Not to mention a wonderful husband. The panel in the mechanical room. The rough-in for one of the bathroom cadet heaters. A little extra warmth in the three bathrooms. Dave is rounding the corner in getting the rough in electric done. It’s been a huge job to do, but in a few weeks, he expects to be done. Two weeks ago, we fired up the Napoleon Wood Furnace in the lodge. It’s a wonderful and efficient system with full ducting going through every room. There is a back up propane furnace attached in case the fire were to ever go out. The furnace sits in the lower level of the lodge in the mechanical room. Dave bucked up several cords of dry timber from our forest this past summer and fall, and that is what we are using to heat both buildings. Winter has found its way to NW Montana. Tonight, a snow storm is coming in, and we are supposed to get 2-4 inches of snow. You can see that there is already snow on the mountains. This is a view from the Lodge. We captured a beautiful sunset a few days ago – view from the lodge. The east side of the lodge now has the shakes on the gable and the window trim. And the whole lodge is now stained. Today, we finally got the window trim up on the cathedral window. That little blue box is for an electrical receptacle. The lighter colored board running across the building is the deck ledger. God willing, we’ll put the deck up next spring. All the exterior doors for the lodge are now stained and installed!! This is the door coming out of the dining/lodge room. Look who visited us one morning. The whole family came. But they said they couldn’t stay for Thanksgiving. Art and Lynda came from BC and volunteered for a week. Art put the handles on our apartment kitchen cabinets. We went for a lovely walk last Sunday at the historic Ant Flat area not too far from us. All the smoke is gone, and fall is coming.It’s so beautiful. Dave in front of an old Montana log barn at Ant Flat. And me and Jacob on our walk. NW MONTANA FOREST FIRE NEAR THE SHEPHERD’S PLACE IS OUT! We wanted to let you know that the forest fire that was threatening our area has been officially extinguished, and all federal firefighters and commanders left by Saturday morning. We attended the last community fire meeting Friday night and were told that while they were expecting this fire to last much longer (“long term”), the “unexpected” large amount of rain over the last couple weeks put the fire out. The cooler temperatures and rain began two days after our request for prayer went out to Lighthouse Trails readers. Officials at the meeting on Friday night attributed the rain to “mother nature” and “luck,” but we know that our Creator’s merciful hand did this. P.S. Two volunteers, Art and Lynda from BC, showed up a couple days ago, and they are staying for a week. They brought their own RV. Art is staining the cedar shakes for the lodge gable ends, and Lynda is helping in the office with various tasks. We are so grateful for those who have come to help us this past summer. We’ll have some new photos soon as our local carpenter is coming back for a couple weeks to finish up the window trim, cedar shakes, and installing three doors, all at the lodge. Dave will be getting up on scaffolding and spray staining the remaining siding. Please pray for safety for all. Lots of Rain, Our First Snow, And All is Well! Shortly after we asked our LT friends to pray, within a few days, the temperatures started dropping, and we started getting light rain. Now, the last few days, we have had a lot of rain. And today, we had our first snow! We are thanking the Lord for answering all of our prayers. The fire is not out yet, and we could have a dry, warmer fall, but we will keep our hope up (in Him). We are going to a fire meeting tonight to meet the new crew commander and hear what he has to say. The Type II team left for another fire and sent in a Type III team to maintain the fire line, do some burning from the fire line to the fire, and do mop up. The fire will continue burning East and Northeast until weather puts it out. But there has been very little growth this past week because of the wonderful rainy weather. Here are some photos I just took from the lodge view. As you can see, all is well. Here is a photo we took driving home on the highway after checking out the fire one evening about the time the weather started changing. It was raining lightly, and we had this most beautiful sunset. While the fire has grown to 6,700 acres, the forestry team gave us a positive report at last night’s town meeting in that the fire line that firefighters have built nearly half way around the fire is holding at this time. This line is most crucial as it lies between the fire and all of the properties that could be affected. The area that does not have any fire line is facing toward the interior of the mountains and away from homes and properties. And of course, the hope and prayer is that rain will come soon and put out this and all the fires in the northwest part of this country and Canada. Regarding our fire, while there is still the risk of spread toward properties north and south (we are north) should the fire go around the fire line, there has been a little rain and lower temperatures the last couple of days in northwest Montana, which is helping to slow down fire growth. But at LT, we are feeling that we are in a much safer position than we were last week when the fire line had not yet been secured and temperatures were very high and there was a lot of fire growth. And thus far, there have been no properties lost in this particular fire, nor has there been any loss of life to firefighters. And we are happy to say that, for us anyway, we have lost no scenery beauty as the fire damage is further south. We are sorry that one of the people who works in our office has lost scenery beauty near her family’s property. We know that this year’s fire season has been and continues to be devastating to many lives and communities throughout the northwest part of this country and Canada. We believe over a dozen firefighters have lost their lives, many Native American reservations have been on fire, and many properties and homes have been destroyed, not to mention all the thousands of acres of forest that have been destroyed. The fire season isn’t over yet, and we continue to pray for rain and protection for ourselves and the many others affected. We also pray that through this tragedy, many will turn their hearts toward the Lord Jesus Christ in true surrender to Him. As we were writing this letter, we received a phone call from a Native American LT reader who told us that some of her friends and family who are on reservations that are burning are crying out to the Lord. Thank you for praying for us. Dave has been spending the last few weeks focused on cleaning up dead wood in our own forest, but today, he got back to working on the electrical. Our volunteers who were going to help him with the electrical couldn’t come after all, but Dave thinks he can have the rough in electrical done by the end of September. Our new 10 x 20 maintenance room off the “Light House” is done enough that we can store books and tools in there for the winter. I’ll post some photos soon. The following photos are taken by the Stonehedge Air Museum out of Eureka, MT. This is the fire that is 2 3/4 miles from The Shepherd’s Place. While we felt cautiously optimistic about the fire when we went to the meeting last Friday night, we received a report tonight that the fire is very active right now and is heading north in our direction.By my estimates, we are about 2 3/4 miles from the fire. With only 5% containment at the west side (which I think is good for my worker who lives near that section), the fire has found many other directions to grow. Unfortunately, they are expecting three days of lightning starting tomorrow. Last evening before dark, we drove over to the fire area. It was discouraging to see how the fire has spread. It has grown very close to our worker’s property, and the forestry dept. has set up sprinklers and a water tank at her place should the fire reach there. This morning, the smoke is so thick here at our place that we are all feeling the effects of breathing the smoke. It’s so hard to witness what is happening. The Federal Government’s managing of forest fires on forestry land that now belongs to the Federal Government is disheartening. It’s a very lethargic attempt to put out fires. This particular fire could have been put out within the first two days when it was about 3 acres, but they pulled off the helicopter that was dumping retardant effectively just like that. By the next morning, the fire was twice as big. Then they waited for days before doing much of anything at all. By then, the fire was several hundred acres large and out of control. Thank you for your prayers. I know we are not the only place that is suffering from forest fires right now. It seems the whole western side of the country is burning up. GOOD NEWS. 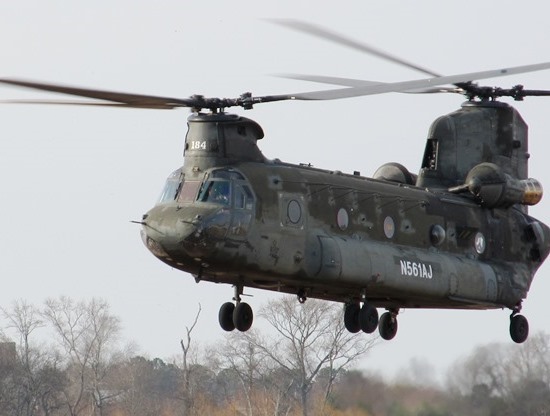 At the town meeting last night, we learned that they are bringing in a Chinook helicopter to help fight the fire that is about 3 miles from us. The helicopter will draw water from a lake that is at the base of the mountain on fire. Dave is in the process of removing dead trees and branches by our forestry land boundary. This will form a 10′ fire line. Our slip-on tank brought by my nephew Jason from Oregon has arrived. We put it in a spot that is right in between both buildings. You can see the 500-gallon water tank behind it in the trees, which will be back up water. My brother sent enough hose to reach both the Lodge and the shop. You can see how much the fire has grown. It has now burned about 2000 acres. We estimate that it is about 5000 acres away from us now. In the meantime, here are some recent photos of the lodge. You can see that Dave is getting the staining done. Still need to get the cedar shakes up on the gable ends. A volunteer, Steve, is coming out next week to help us do the window and corner trim on the lodge. Clouds have been gathering most of the day. We are praying for rain. At this point, that is pretty much the only thing that will put out the fire now. We attended a community meeting last night, and the fire fighting team told us their main goal at this point is to protect properties. Dave is working hard these past few days clearing our woods of standing dead trees and dry branches on the ground. Wes and Judy on Plumbing and Windows – Progress! !